In the 1950s, a cherished prize in a box of Cracker Jack was a one-inch plastic square embossed with two images and when you tilted the square up and down the images seemed to move or a secret message was revealed. Those prizes used early lenticular image technology, a printing method that relied on a special camera lens, called a lenticular lens, to produce its magic. Lenticular printing today is far more advanced and the technology is used extensively in advertising, children’s books, magazines and trading cards. One of the most intriguing uses of lenticular technology over the past few years has been with the creation of postage stamps. microlenticular technology, allowing an impressive 35 frames of motion to be displayed on each stamp. When tilted, the stamp shows the launch of its spacecraft. 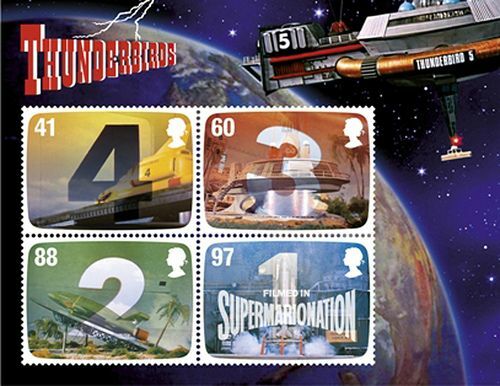 To see the Thunderbirds stamps in motion, copy this link into your Internet browser: http://www.youtube.com/watch?v=t-TtkO4rbtI. 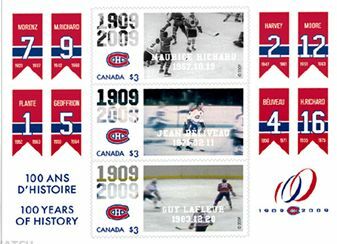 Highlighted on lenticular stamps issued in 2009, Canada Post commemorated the historic 500th goals of ice hockey legends Maurice Richard, Jean Béliveau, and Guy Lafleur, while playing for the Montreal Canadiens. 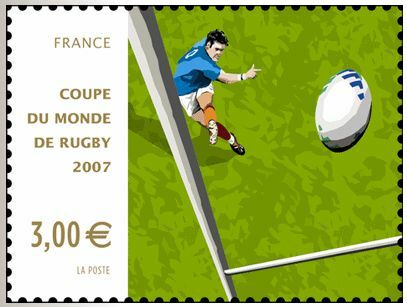 to the left of the stamps’ imagery. 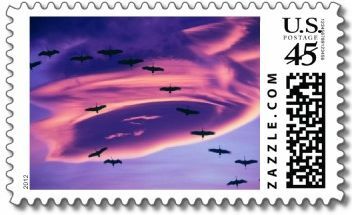 The United States Postal Service has yet to issue a stamp using lenticular imagery. 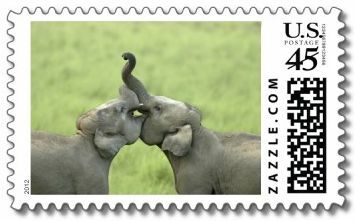 However, lenticular stamps with valid U.S. postage are created and available through zazzle.com. 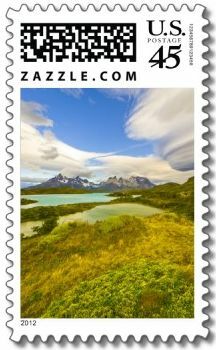 Zazzle creates custom postage stamps, such as the lenticular stamps below, or you can create a stamp with your photos, designs, business logos, and text. I recently asked John Hotchner, a 12-year member of the U.S. Postmaster’s Citizen’s Stamp Advisory Committee, if using lenticular imagery on U.S. stamps was ever proposed or discussed. Mr. Hotchner said that specific technologies for inclusion on U.S. stamps were not a formal object of consideration for the advisory committee, so they had never discussed lenticular technology. 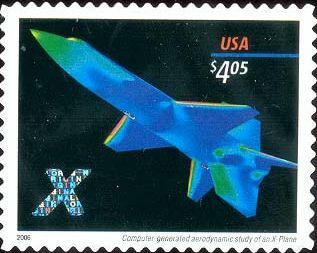 However, Mr. Hotchner reminded me that the U.S. has issued stamped envelopes and stamps with hologram technology, such as the 1995 32¢ Space Station envelope and the $4.05 X-Plane Priority Mail stamp, Scott # 4018, shown below. Some additional research revealed that lenticular and holographic imagery are quite similar in that they both appear to provide motion or the impression of animation when looking at the printed surface of a stamp. But the processes used to create the final products are quite different. Lenticular imagery takes multiple frames, or images, and links them into somewhat of a “mini-movie” using a lenticular lens. Holographic imagery is not dependent on such a lens or process. In the final analysis, it is fair to say that for postage stamps, either lenticular or holographic imagery provides a pleasing “motion” effect. But, I would say that the mini-movie quality of lenticular imagery is a bit more robust and entertaining than holographic imagery. Lenticular motion stamps. Definitely a philatelic novelty.